Anna is left to care for her invalid mother and her sister's children when the Germans invade Crete. A battalion of Italian soldiers is billeted in the village to prevent a seat of resistance being formed on Spinalonga, the leper island opposite the village. There are resistance workers in the area. How will she protect strong-willed Marisa from the Italian soldiers and impulsive Yannis from joining the resistance? Unwillingly she becomes involved with the resistance and has to draw on all her resources and ingenuity to fool the Italians, finally risking her life to save the man she loves. 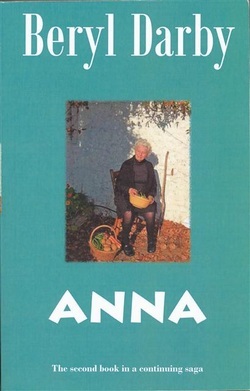 "I have just finished reading ANNA - wonderful. The end had me in tears."